We just cannot explain the wisdom behind certain happenings in our lives. It is much later in life that we are enlightened. Abdul Baha has said that in everything that happens there is a wisdom and nothing happens without a reason. I am pretty clear and convinced that whatever happened in my life has been for a sound reason which I am seeing now as clear as broad daylight. I was born on 28 May, 1951 in a village called Naringana, a hinterland, south of the coastal city of Mangalore, in the State of Karnataka, South India. My family was orthodox Brahmin. My formal education was up to tenth grade in Kannada Medium. I was good at academics and received a few certificates for my studies and various sports events. My parents were so poor that they couldn’t afford to send me for the higher education, available in Mangalore. I was disappointed to the core and a strong urge to continue my education dawned in my heart. After spending about two years after my tenth grade at home in my village, doing all kinds of odd jobs around the neighborhood I found myself in a milk dairy managing their milk business. Though there was a financial oppsortunity the dairy left no time for my studies, hence I left that job and Joined a Doctors clinic as his helper. I had to work as his domestic assistant as well, but had an opportunity to study. I opted for stenography because the time was flexible for that course. I was brought up in strict Brahmin ways. My father made sure I followed all Brahmin traditions and practices. But my curious mind was seeking explanations for every ritual and practice. My father was not able to explain all my questions. On many occasions, he advised me to simply follow ancient and centuries old traditions. Deep inside I did not believe in blind imitation of the past; I needed reasoning for all I was doing. That struggle triggered my search for a new meaning in life. When I left home with the determination that I have to earn and study at the same time, I had no idea of the challenges that I would have to face in life. I was looking for a job that would not be a hindrance to my academic pursuits. I was alone and penniless. I had no one to show me love and affection from my family members because they did not like the idea that I had left the home for city in search of a proper job. I encountered hunger and starvation. It was also the poverty of my family that made me search for meaning in my life. Around this, time I heard the message of Bahá’u’lláh. During my study in this Technical Institute I met a classmate of mine, Mr. V.T.V. 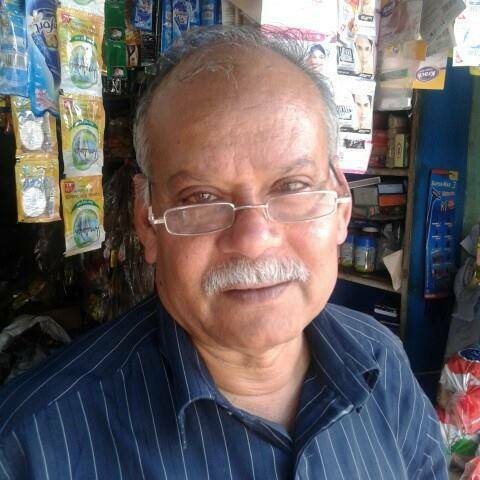 Damodaran, who introduced the Faith to me. I liked what he said about the new Faith. I followed him to the Baha’i Centre in Mangalore and was given a brief introduction to the Bahá’i Faith. I was then given basic literature to study. I liked the principles of the Faith and I declared myself as a Baha’i at the age 22 in 1973. Since then my academic studies and Bahá’i studies went hand in hand while I was still working in the Technical Institute. I also worked in a cloth shop, typewriting Institute, and in a rubber company during this turbulent period of my life. The more I read on the Faith my determination to improve my life grew higher and higher. During my work in all these places I continued to study and I managed to complete my Bachelor of Commerce degree through an open study system at the University of Mysore. I passed senior grade of Stenography conducted by the Technical Institute, Government of Karnataka. Having become a Bahá’i, I was guided further by many of my Bahá’i friends. I used to go to the Bahá’i centre for deepening classes. I attended conferences and read several Bahá’i books. My friends were helpful in answering many of my questions popping up in my heart. I slowly became a convinced believer. I soon found myself in a new highly charged community of the Greatest Name. But that was not the end of things. “One of the distinguishing characteristics of this most great Dispensation is that the kin of such as have recognized and embraced the truth of this Revelation and have, in the glory of His name, the Sovereign Lord, quaffed the choice, sealed wine from the chalice of the love of the one true God, will, upon their death, if they are outwardly non-believers, be graciously invested with divine forgiveness and partake of the ocean of His Mercy. This bounty, however, will be vouchsafed only to such souls as have inflicted no harm upon Him Who is the Sovereign Truth nor upon His loved ones.”- Bahá’u’lláh, from a Tablet-translated from the Persian. I was happy to have read that passage, and felt most relieved that Bahá’u’lláh has written with His own hands answers for all situations. I continued to pray for my parents. However my father passed away. When I visited my relatives in the village, they came to me with all kinds of heated arguments. I did not argue, but only put forth my opinions, quoting from various scriptures. They said that the greatest gift is to be born as a Brahmin, and to belong to the highest caste in society. I told them what the Supreme Manifestation has to say, “Man’s merit lieth in service and virtue and not in the pageantry of wealth and riches……” They still argued. I gave them another quotation that no one is born great but only through education they rise up. This is the verse, “ Regard man as a mine rich in gems of inestimable value. Education can, alone, cause it to reveal its treasures, and enable mankind to benefit therefrom…” I told them to think about that verse and left them. I do not know if they read the verses. But one month later when I went back to see them, they were calmer. I subtly asked them if they had gone through the verses. They said I seem to have profound knowledge on religious matters. They did not say anything else. They had done me a great favour. It was opposition from them that drove me to go deeper into the writings. I must admit that it was during these period of opposition that I became deeper in the Faith. I had to read more to answer them, I had to ask a lot of questions with the learned Bahá’ís to get all my answers correct. The teaching field is the best to deepen ourselves. Those who oppose the Faith are the catalysts in making us stronger. While these elders remained dormant, their children who were IT specialists recently started a whatsapp group called “FAMILY” and added me to the group. When I used the universal principles of the Faith in the discussions, they started to attack me once again with the strongest words. I felt I was wasting my time with them, playing heavenly tunes for deaf ears would yield nothing at all. So, I diplomatically bid them farewell and quit the group. When I was working in the Technical Institute as a Shorthand Instructor, and serving the Faith in various capacities at Mangalore, I got married according to Hindu tradition first on the insistence of my family, and then according to the simple Bahá’i tenets at the Baha’i Centre. My wife’s name is Rathna, a distant relative of ours. It was an arranged marriage. My father could not give away my elder sister in marriage without a large amount of dowry. But there was a cousin of mine who was willing to marry her. It was arranged in such a way that he married my sister and I married his sister, and with this arrangement, the issue of dowry was resolved. The greatest happiness was my wife accepting the Faith during Bahá’i marriage ceremony at Bahá’i Centre in Mangalore. She has since stood as my greatest companion in serving the Cause. 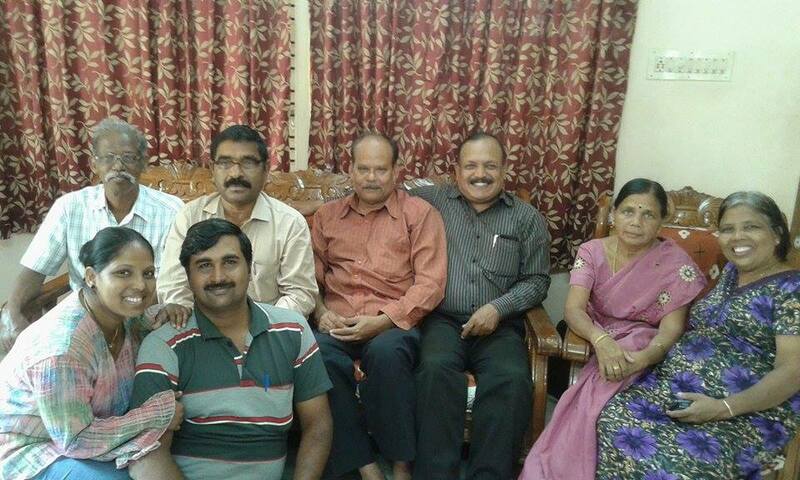 During these years, I became one of the members of the Local Spiritual Assembly of the Baha’is of Mangalore. One day the Auxiliary Board Member then, Mr. Ahmed Motlagh referred my name to the State Teaching Committee of Karnataka at Bangalore to appoint me as an Executive Secretary. I was happy a new responsibility was given to me. I consulted with my wife and she immediately agreed to follow me to Bangalore. 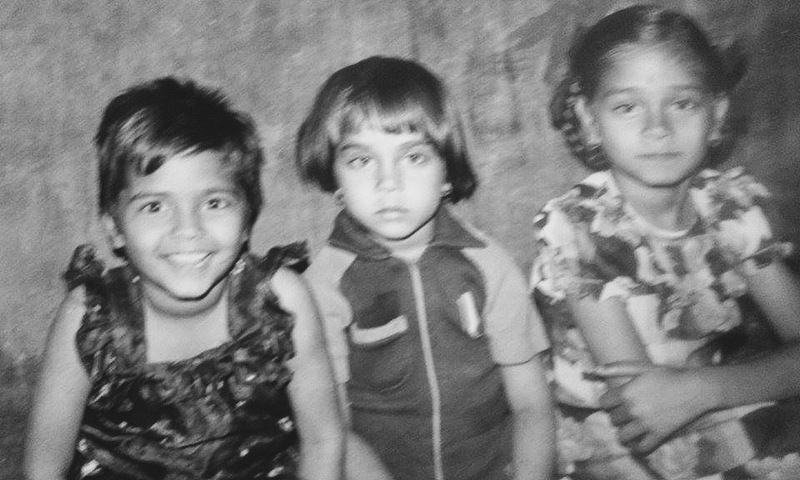 I moved to Bangalore with my wife and two little daughters in 1982. 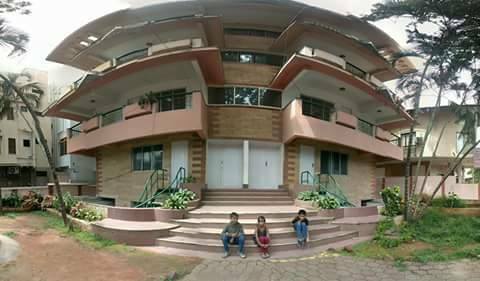 Here we were housed in the Baha’i Centre in Bangalore, which was bought from an army lieutenant. I started my services at the Office. Since then I continue to serve in that Office as an Executive Secretary. I was also an elected member of the State Bahá’i Council. My service in this Office span morethan three decades. This period was the most memorable of my Bahá’i life. While working in the Council Office, I undertook travel-teaching trips, introduced the Faith to the high school and college students by way of lectures. During this period I met several Bahá’ís from within India and from abroad. There were numerous conferences I attended. I traveled across the state covering over a thousand villages and almost all the district centers of the State during my three decades of service in Karnataka. When I came to Bangalore to serve the Faith I made all round trips to the places where there were large number of believers. This includes the districts of Bangalore, Mysore, Mandya and a few Taluks of Hassan and the Kolar Gold Field districts. These trips were made specially during Ridvan period to prepare them for the election of the Local Spiritual Assemblies. I have travelled to all the districts of our state, covering more than a thousand villages, cities and towns. While in Bangalore I was given a small allowance for subsistence living. Accommodation was free. Some of the believers coming for conferences in Bangalore also stayed in the Bahá’i centre which was very big and spacious. We were very happy to entertain guests coming to the Bahá’i centre because we considered them members of our own family. “Where there is love, nothing is too much trouble and there is always time” says the Master. I do not know how we managed, but we managed miraculously. We had left our fate in the hands of the Blessed Beauty. My wife took care of the cleanliness of the Bahá’i Center as she knew full well it is a sacred place. She was commended for this commitment. As time went by she took over her own area of specialization. There were numerous conferences held in the premises of the Bahá’i centre. Some of these conferences would be held for a few days. Catering meals for them –breakfast, morning tea and snacks, lunch, evening tea and snacks, dinner and dessert, and late night tea and snacks- all these would be too costly. My wife volunteered and prepared them very well and on time. She cooked vegetarian dishes and excelled in this area. She even learned to cook some Persian food as well. Unfortunately she had very few helpers in the kitchen. With her volunteering to cook at gatherings, she saved a lot of money for the State Bahá’i Council. I must say that the current Counselor Mr. Rajan Sawant visited us with his wife in Bangalore after his marriage, and we gave the newlyweds a sumptuous dinner. 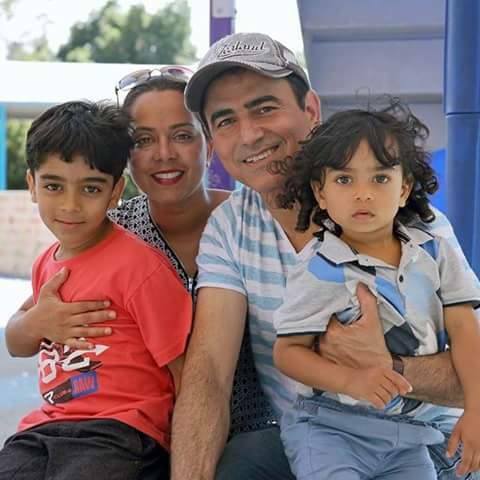 When he recently paid a visit to the community, he mentioned that in a gathering and even suggested we moved back to the Bahá’i centre and continue serving the way we did before. There are numerous other friends from abroad who still keep in touch and mention about the crispy Dosas, and the hot ginger tea she used to make for breakfast. This Bahá’i Centre near Mayo Hall centre was sold off sometime during 1992. We moved into our own Bahá’i Center bought at Spencer House, Coles Road in Bangalore. As for my family, we rented a new house to facilitate my trip to Siberia which came up around the same time. Our new residence was in Lingarajapura. But I was still traveling to the Bahá’i Centre and managing the State Bahá’i Council Office. The rented house had a small building attached to it. One fine day the owner of the building told us we could start our own business if we wished. Hence my wife started a small business which today has grown big over the years, giving us a comfortable life for the first time. How could one explain a fortune coming our way, without our soliciting it, if not for the direct intervention of Bahá’u’lláh in our lives? When the time came for our two daughters to study, we were under stress. The elder daughter studied in Bangalore. Even when studying she befriended an Anglo Indian boy and interrupted her studies to marry him. This was another period of stress for us. We had to ensure our second daughter did well in her studies. We did not have financial means, as we were only volunteers at the Bahá’i centre, getting an allowance. 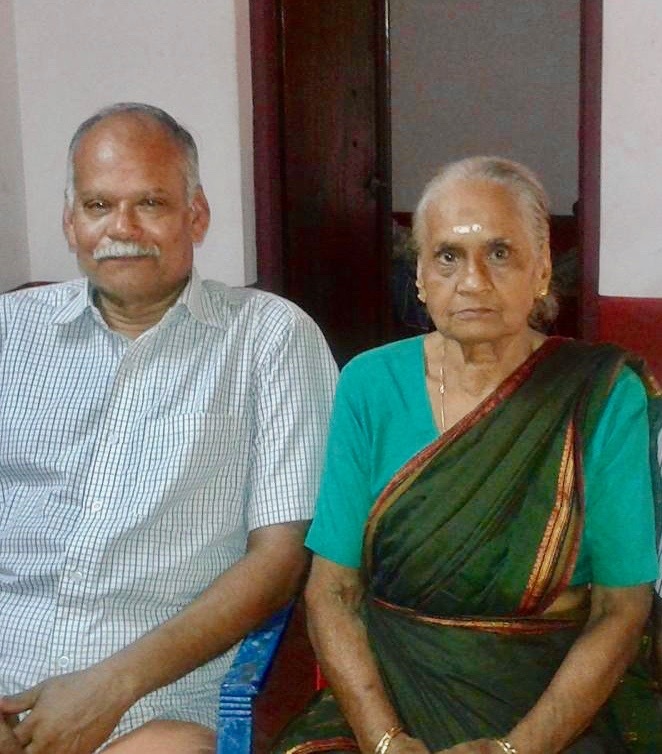 It was fortunate that I had known Counsellor Vasudevan from the early days of my arrival in Bangalore. I made frequent visits to see him at the Bahá’i Academy in Panchgani. It was during one of the visits of Dr. Vasuevan that he saw our situation and was of the strong feeling that my second daughter must get a better education. Counselor Vasudevan himself wrote to the National Spiritual Assembly of India and worked out a scholarship for my second daughter. He was a fine human gem by any standard! He is indeed a great gift of the Malaysian Bahá’i community to India. Bahá’u’lláh loved me more than I loved Him. What other living testimony could I provide? As soon as I declared as a Baha’i, I used to teach the Faith to my daily contacts in my work place and my neighbors. I also I used to join the groups of Baha’i friends who undertook teaching trips during weekends. About 40 years ago, it was fairly easy to teach; people were not very prejudiced. They were open minded. But as days went by, people have become more aggressive and reluctant because of the domestic fanatics who have fanned the religious, emotional fires. In the past we could walk away to a village and request the villagers to assemble in one place and give them the Baha’i message, but now such an arrangement cannot be imagined. Yet the Faith grows and develops in its own mysterious ways. The people of India came to respect the Faith more after the opening of the Bahá’i House of Worship in India. I was given the task of organizing the trip from Karnataka State to New Delhi for the inauguration of the temple. After seeing pictures of the development of the temple in Bahá’i newsletters we were all transported to a new world when our eyes first fell on that temple. What a sight! What a magnificent edifice, what a heavenly view. More blessings descended upon us when we saw Hands of the Cause of God Amatul Baha Ruhiyyih Khanum, William Sears, Collis Featherstone at the Indira Gandhi Stadium at New Delhi. The temple certainly added more value to India which had always practiced freedom of worship. That temple provided ample publicity for the Faith. Today the photograph of the Temple appears in many publications as front cover. The posters are placed in Indian embassies abroad and on tourism brochures. In 1989, while I was in Bangalore, my father passed away. After my father’s passing, my illiterate mother allotted a good chunk of property to my younger three brothers who lived near her. 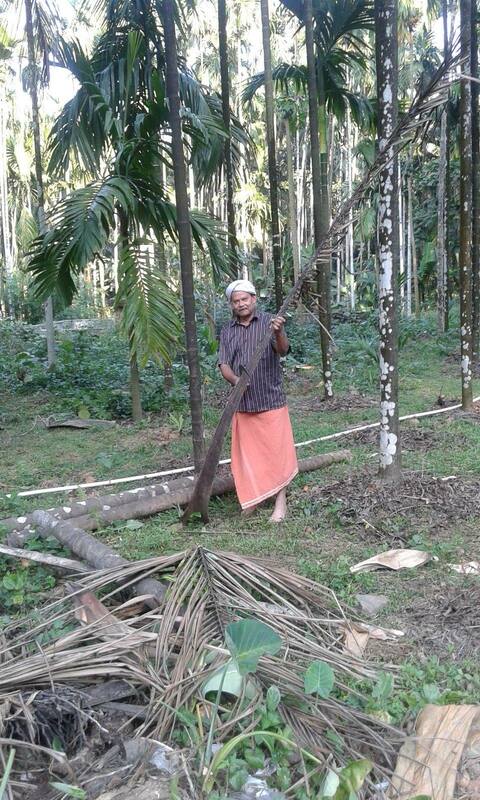 Since I was away at Bangalore, my mother thought I would never return to the village and left me out of the inheritance. Since the property documents were in her name, my three brothers worked out a large peice of land among themselves. I was unaware of all these dramas going on back home. But the matter came to light when my brothers started fighting greedily among themselves for the plots. My mother sought my help to settle their differences. When I went to the village, I found out that I was left with nothing except a piece of land of negligible size. They all expected an explosion to erupt. I was just cool and they were surprised. They do not know that with the love of Bahá’u’lláh in my heart I was the wealthiest of all. Of course, they would not understand if I were to explain to them the greatest gift I have with me. By infighting for land they were chasing a rainbow which they would never touch! However, I assisted my mother in resolving the conflict. She could see the difference in attitude between my brothers and myself. My mother is now old, and she has a strong feeling that I am following the right path. As for her, she is still surrounded by her relatives and friends in the village. During my service in Bangalore, there was a call to pioneer. This coincided with the selling of the old Bahá’i centre. I had an opportunity to go to Siberia as a pioneer for three months in 1993 under the project of the National Spiritual Assembly of the Bahá’ís of India. A small group of is were selected for this trip. We were placed at Sludianka, a small city at the tip of Lake Baikal. From here we took a teaching trip to Yuzhno-Sakhalinsk, near the Japanese border, where a group comprised of an American, Iranian, Swiss and Japanese believers, joined us. This group attracted much attention from the print media and Radio who interviewed us and our beliefs. A few accepted the Faith in Sludianka and Yuzhno Sakhalinsk. 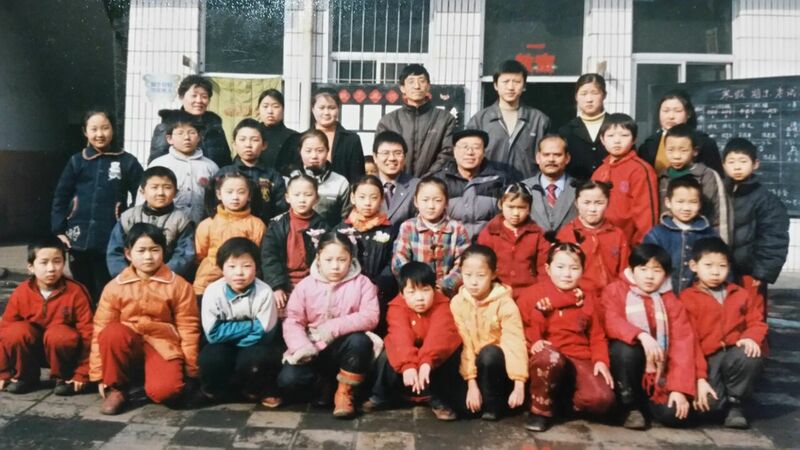 Then I had an opportunity to work in China for one full year in 2003 as a spoken-English Teacher. This was a Bahá’i teaching trip. I was placed at Lin Fen, a city bordering Inner Mongolia. It was winter when I went there and the temperature was freezing at minus 16-22 degrees Celsius. I was worked in a cluster of schools under the brand name Kehuan School of Foreign Languages. I continued to serve here until the SAARS epidemic struck the area. All the educational institutions were closed for a month. During this period I moved to southern China and worked in an Institution called Gate Way at Zuhai as a Conversational Assistant. It is the dream of an average Indian to travel to many parts of the world. But not all are able to do this, owing to lack of opportunities and financial means. Millions of Indians do not have international passports. I had also wanted to visit the world from an early age. Had I remained in the remote village of Naringana, which was my birthplace, I would never have gone abroad. I believe it was after accepting the Faith that I was gifted the opportunity to step out of India. My trips to Russia, Yuzn Sakhalinsk and China were as a pioneer. I also visited Uzbekistan, Tajikistan, Kirgizstan, Siberia, Yuzn Sakhalinsk, Dubai, Singapore, Hong Kong, Macau, China, Sri Lanka and Australia. India is a great country. The destiny of the Faith is so great. The Faith was established in Bombay, India even during the lifetime of Bahá’u’lláh. It has a very rich history. After going through the Writings, I took great interest in getting to know my elders who had laid a firm foundation for the Faith in India. There was far more than I could have imagined. The book Immortals moved me so much as it was in that book that I came to know the unparalleled services rendered by great Bahá’ís. I do not know if at all I could reach their threshold in the path of service for the Cause. There are some spiritual giants I met in Bangalore. Some of them are the late Counselor Professor Dipchand Kiandra, a very humble person who had served the Cause quietly but effectively. And Dr. H M Munje who solved questions on Hinduism through his book “1844- Pin Point Target of All Faiths” and many other. During my service in the Faith the great stalwarts of the Faith have made a great impression on me. Dr. H. M. Munje, a scholar of 16 languages and an erudite scholar of Hindu and Bahá’i Faith is one whom I can never forget. I had traveled around in Bangalore visiting various high-profile Institutes to arrange his lectures. It was amazing to see how fluent he was in delivering his lectures and answering all the minute details during the question-answer sessions. We can never get another person of his caliber to replace him. I had worked closely with Dr. Payman Mohajer who was our Counsellor then, for few years. Later he was appointed to the International Teaching Centre and is now elected to the Universal House of Justice. He was such a great worker for the Cause. Then comes Mr. S. Nagaratnam from Malaysia who was Counsellor for south India, including Karnataka State. His simplicity and yet tough qualities made me evolve with ever greater zeal in serving the Faith. We affectionately called him “Uncle Naga”. How could one forget the late Mr. R. N. Shah? He was the longest served Secretary of the National Spiritual Assembly. I had worked closely with him for decades since the time I was the Secretary of State Teaching Committee of Karnataka which later evolved into the State Bahá’i Council. The other Bahá’ís with whom I associated were Auxiliary Board Member Ahmed Motlagh, Counsellor B. Afshin, Counsellor Zeena Sorabjee Mr. Ali K. Merchant currently serving on the National Spiritual Assembly of India, and Mr. Soroush Yaganagi, the first pioneer to South India. I must make special mention of Mr. Farrage Yaganagi, son of Mr. and Mrs. Soroush Yaganagi. Mr. Farrage is a Baha’i Scholar in his right, who radiates much love and affection. He was always down-to-earth by nature. We became friends and traveled widely across the length and breadth of Bangalore district to visit Bahá’ís. 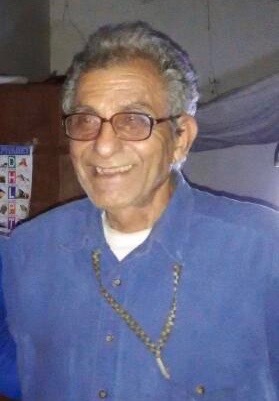 He was with me in all my Bahá’i services and was my great inspiration. This true friend of mine now lives at Ramanagar near Mysore and Mandya. During one of the Southern State Bahá’i Conferences held at Bangalore, Mr. Hushmand Fatheazam, member of the Universal House of Justice, appreciated the progress the Karnataka State had made. He advised me to write more encouraging letters to the believers in order to stimulate them for greater Bahá’i services, and he asked me to look at the messages from the Guardian. To this day I continue to follow his advice when communicating with the believers. Bahaullah has given new technology for use by the Bahá’ís. I send out deepening materials though Whatsapp to various groups in Karnataka as per the guidance of the Auxiliary Board Members. I have translated a number of Bahá’i Books from English to Kannada which include the Kitab-i Aqdas, a series of Ruhi books, Huququllah and number of other booklets. I am presently translating Gleanings from the Writings of Bahá’u’lláh. I translated the Kitab-I-Aqdas in China. I had in fact started off the translation work in Bangalore itself, but when the call for pioneering to China came, I took along all my books and dictionaries to China to continue my translation there. It was indeed a tough task. I had to translate during business hours, referring to the dictionary to get the exact meaning was difficult, nay torturous. This hectic schedule made me to write to the State Bahá’i Council to raise the manpower for translation works. I offered my services as a resource person in training the friends. The Council and the Auxiliary Board Members agreed to my suggestion and facilitating this gathering where a group of competent translators will be emerged. Today I can proudly say that I have trained two Bahá’ís to be excellent translators of Bahá’i literature. I had lost all love from my family and relatives. But there was no sense of deprivation in my heart. If my family was one long line, a longer line emerged beside that. I had all the love and affections from my true family-the Bahá’i community. They were there during all my instances of disturbance and distress. When I accepted the Bahá’i Faith it was a total acceptance. I do not claim to belong to any cast, creed, class or status. I am just one of the children in God’s global family. I am loyal to my government and am a world citizen at heart. Of this, I am proud. During my services in various institutions of the Faith, especially in translating Bahá’i literature, Bahá’u’lláh has enabled me to acquire much knowledge on the Kannada and English languages. That paved a way for me to become a recognized poet and a writer. I write poetry in English in a Facebook group, and share them in four Whatsapp groups of Kannada poets. I started to write on Facebook. When I started writing indirectly about the Faith on my Facebook wall, my liberal views of oneness of mankind were not welcomed by the non-Baha’i readers. Some used to comment that I should be stoned to death because I am a heretic. Some others belittled me, saying that I am a disgrace to the Brahmin caste because my daughter Sunita married a Persian boy and my grandson’s name is Cyrus. They thought I am an impure breed of mixed Hindu and Muslim people. Even my good readers of my poems started blocking me. This was the period I separated my non-Bahá’i readers from my Bahá’i friends. This is how my Baha’i group FRIENDS came into existence and is one of the fastest growing Bahá’i groups. I have two daughters, both married. My elder daughter Chitra has a son and a daughter. Her son Nikhil has finished his Hotel Management course and is now working with a Five Star Hotel, the Taj-ahanta at Bangalore. He has been selected to join a Cruise Ship where his uncle is working. Chitra’s daughter has just completed her first year per-university course. My second daughter Sunitha is married to Mr. Mehrzad Mumtahan from Iranian background. Mr. Mehrzad Mumtahan an Optomatrician and the Director of Bahai’ Film Festivals. They have two sons. The elder son Cyrus is 9 years old and good at studies, karate, football and swimming. The younger one Arya is three and a half. 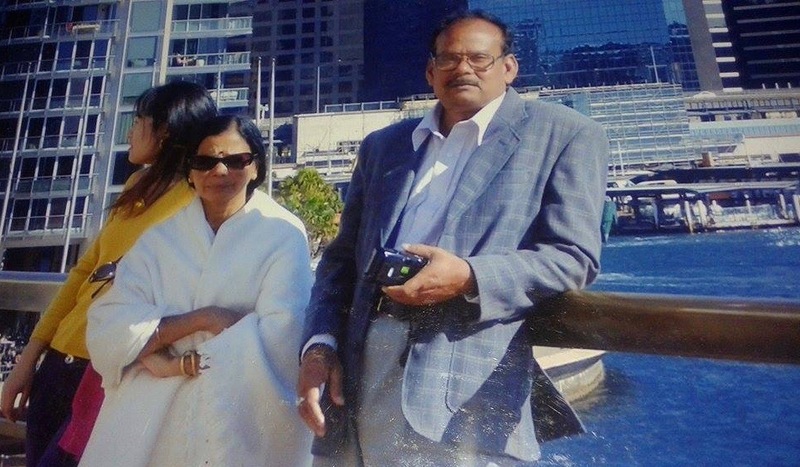 Sunitha has pioneered to China and Hong Kong for about 4 years, and is now settled in Australia with her husband . I am a proud grandfather. Presently I run a Provision Store for a living, while assisting the State Bahá’i Council in its literary work, in addition to serving an assistant to Auxiliary board Member Mrs. Amita Yaganegi. My time passes with me involved in translating English books into Kannada language. Now I am 66. Remember, I was deprived of educational opportunities when I was young. I struggled to make myself a better person. My acceptance of the Faith was the true success in life. The Bahá’i services gave me the education to excel in languages. Today Bahá’u’lláh has enabled me to read, write and speak fluently in English and Kannada. I have sound knowledge in reading and writing in Hindi, Tulu, Malayalam and Tamil languages. English, Kannada and Hindi were the langauges I picked up at formal education in school. We do not know what our Creator has in His mind. But when one submits and surrenders oneself to Him with full faith and undiminished trust, wonders do happen to us. What recourse did I have when He shaped my destiny and decided my destination. I see more and more wonders flowing from this glorious Cause of Bahá’u’lláh.